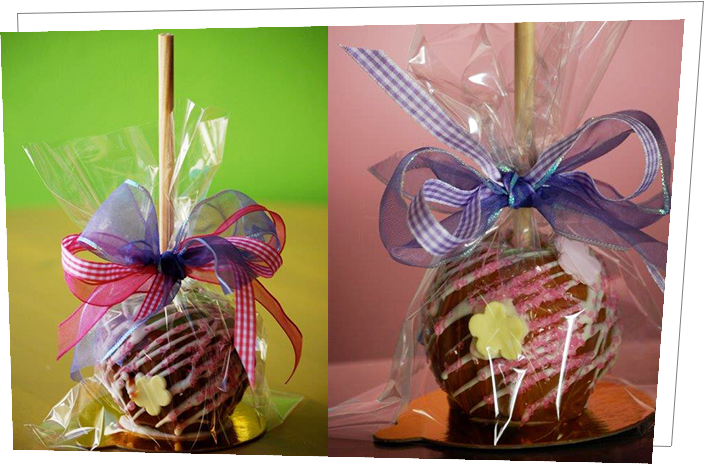 Our Caramel and Candy Apples are hand wrapped in delicious caramel and chocolate and wrapped individually in a cellophane bag and decorated with a fancy bow to match your decor and color scheme. Rocky road milk chocolate caramel apple. Tuxedo milk & white chocolate apple. 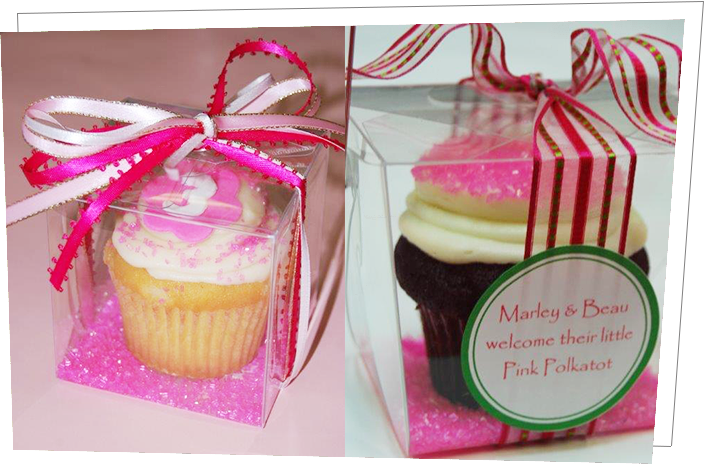 Our individually boxed party favors are a great way to thank or welcome guests to your party! 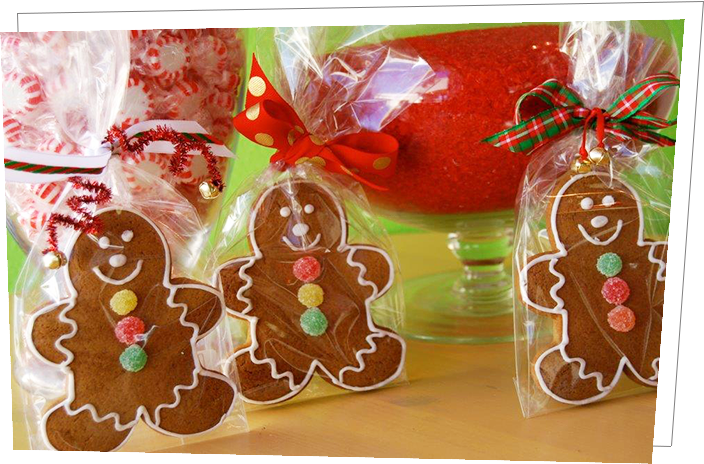 Each take out box offers cookies, cupcakes or brownies with a special tag and wrapped with a beautiful bow. but you can custom any photo on each sugar to chocolate chip cookies. All cookies are baked fresh with real butter. Each cookie comes individually wrapped in a cellobag and finished with a fluffy bow. You may also create your own box of cookies, perfect gift!